The biscuits contain undeclared milk. 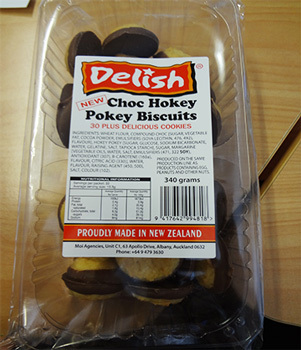 All dates and batches of Delish Choc Hokey Pokey Biscuits are affected. The biscuits are sold in a 340g clear plastic tray wrapped in plastic packaging at Countdown supermarkets. For more information, contact MOI Agencies Ltd on 0800 086 646.